This exquisite and very detailed 18 carat gold ring is made in filigree; an ancient lace-like metal technique that can be traced back more than 5,000 years. Ring nr. 10 is a special edition within AMMA’s Filigree collection. 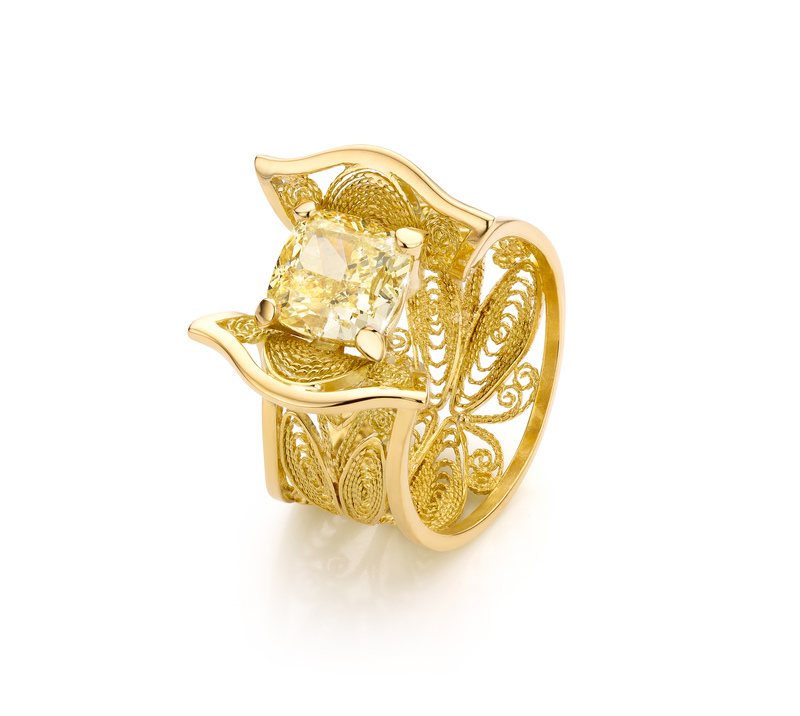 It contains a stunning natural yellow tinted cushion cut diamond of 3.01 carat. Ringsize 17,5. Can be made to order for a different size.